If your representative is on the House Budget Committee, then ask them to support a bicameral, bipartisan agreement to stop sequestration and raise the spending caps for fiscal year (FY) 2018. This Action Alert requests that AAS members contact their representative by 13 July 2017 to ask that they support a bicameral, bipartisan agreement to stop sequestration and raise the spending caps for fiscal year (FY) 2018. 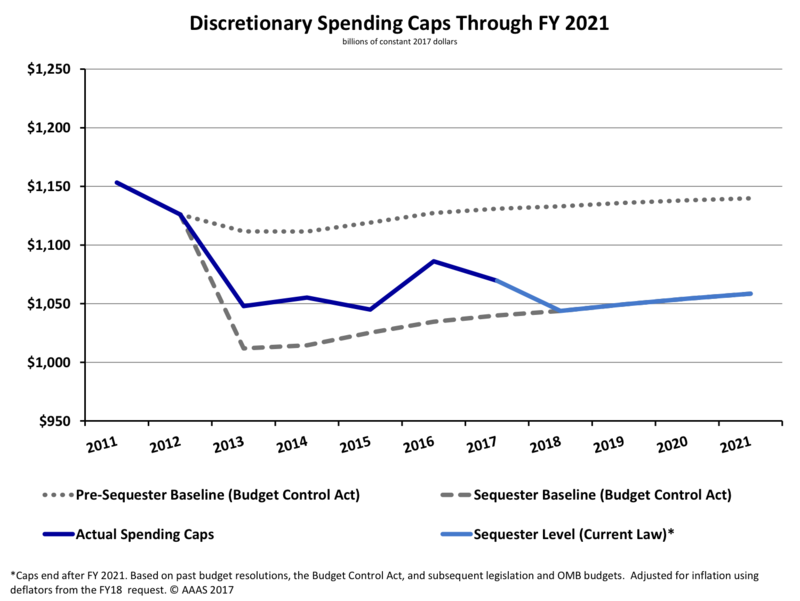 Since FY 2011, the total discretionary spending of the government has been capped by the Budget Control Act (figure right; credit: AAAS). The solid, blue line shows the actual spending caps for fiscal years 2013-2017; you'll notice that these caps have not been as low as the sequestor baseline. This is because Congress has reached bicameral, bipartisan budget agreements to temporarily increase the spending caps. The most recent agreement ends with FY 2017, which means that, by law, we return to the sequestor level in FY 2018 and beyond unless Congress can reach a new agreement. These agreements are reached as a part of the budget resolution process. The budget resolution is a binding agreement between the House and the Senate that sets the amount of money that can be spent on discretionary parts of the government. We're asking AAS members to consider taking this action now because the House Budget Committee should be finalizing their version of the resolution this week. What do we mean by discretionary spending? 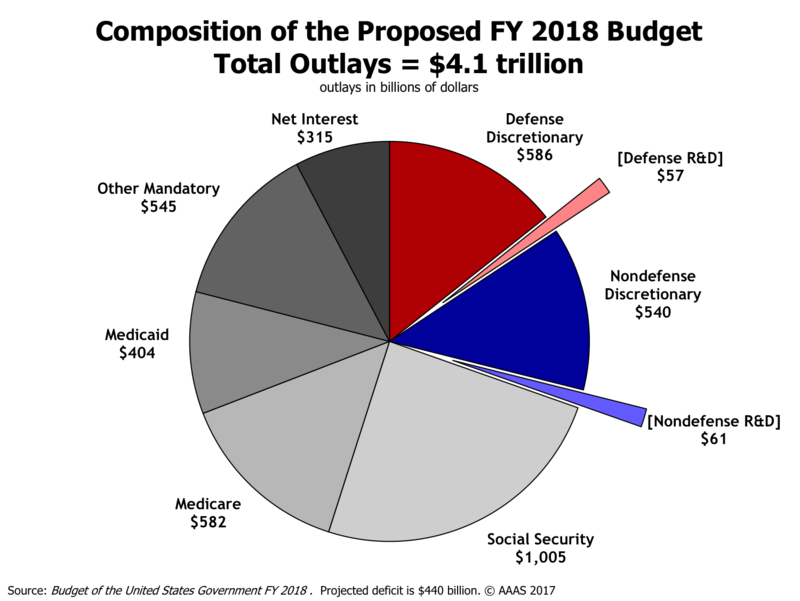 Roughly 25% of the total federal budget is discretionary, and roughly half that is non-defense discretionary. The figure to the right (credit: AAAS) shows the composition of the proposed FY 2018 budget. The wedge labeled nondefense R&D is the part of the federal budget that includes NASA, the National Science Foundation, the Department of Energy, and many, many more agencies. By ending the sequestor and raising the spending caps for FY 2018, our hope is to lift the constraints that science funding has been under. 1. Verify that your representative is on the House Budget Committee. Determine who your representative is here.